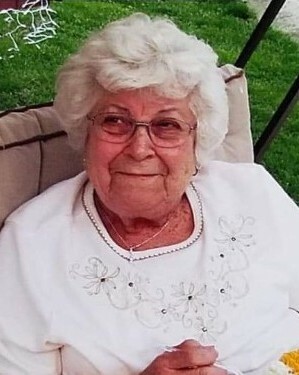 Virginia Ann Berry Felty Fankell, 85, of Rush went to be with her Lord Friday January 18, 2019, at the Community Hospice Care Center in Ashland. Virginia was born April 25, 1933 in Carter County, KY a daughter of the late Freddie Edgar and Mary Fannin Berry. In addition to her parents, Virginia was preceded in death by her first husband, Clarence “Butch” Edmond Felty in 1986; her second husband Kenneth Lee Fankell in 2005; a son in-law, Roger Morrison; and a brother Ancle Berry. Virginia was a member of the Wilson Creek Missionary Baptist Church. Virginia was a former Sunday school teacher, member of the choir, a member of the Homemakers, and was the past secretary for the Ladies Auxiliary. Virginia is survived by two daughters, Pamela Morrison and Bobbi (Jackie) Lewis both of Grayson; a son, Bill Felty of Rush; five grandchildren, Shawn (Kimberly) Flannery, Daun (Vanessa) Flannery, Scott (Tiffany) Felty, Jaclyn Lewis and Kayla Lewis; fourteen great-grandchildren and seven great-great-grandchildren. Funeral services will be 1:00 p.m. Tuesday, January 22, 2019 at the Malone Funeral Home in Grayson with Joed Rice and Ron Arnett officiating. Burial will follow in the Cribbs Hill Cemetery. Visitation will be Monday 6:00 – 9:00 p.m. and after 9:00 a.m. Tuesday at Malone Funeral Home. Memories and condolences may be sent to the family at www.malonefuneralhome.com. Memorial contributions are suggested to: Wilson Creek Missionary Baptist Church, 6995 Wilson Creek Rd., Grayson KY 41143.